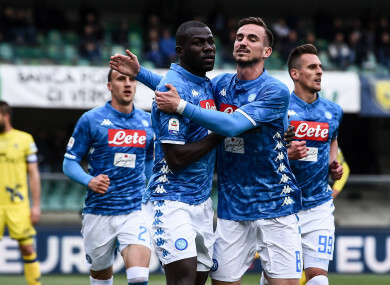 Koulibaly (centre left) scored twice to help Napoli to victory. We are angry. We want to show another face of Napoli,” added Koulibaly. Email “Koulibaly scores twice as Napoli delay Juventus' title celebrations”. Feedback on “Koulibaly scores twice as Napoli delay Juventus' title celebrations”.